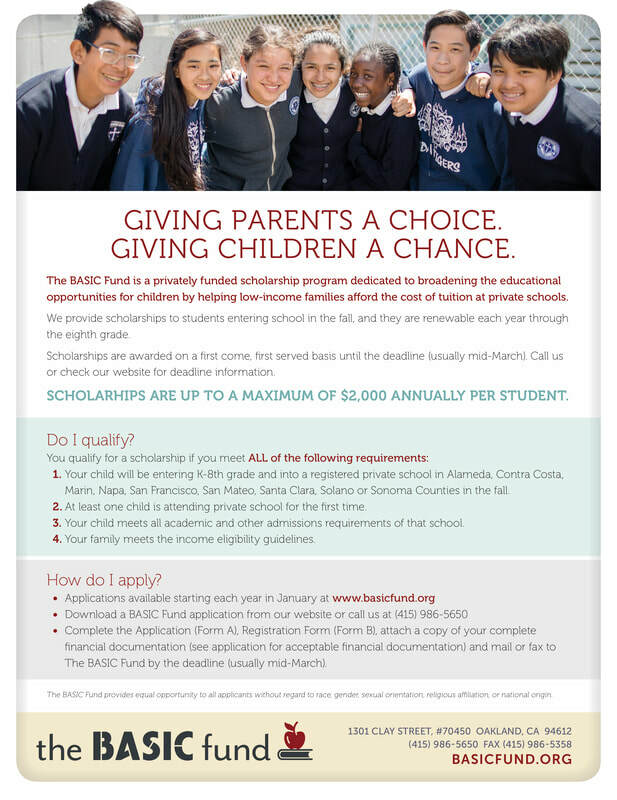 The BASIC Fund provides scholarships on a first-come, first-served basis to families in financial need. The awards are based on household size and income and cover up to $2,000 of the tuition per child each school year. Click here to apply. Click the images below to learn more about The Basic Fund.